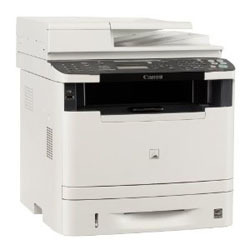 Printer Comparison has reviewed an office laser printer from Canon that is able to print up to 35 pages per minute in black and white, or so Canon claims. The printer is called Canon imageCLASS MF5950dw and comes with wireless printing that could be useful for many offices. Printer Comparison ends up giving the imageCLASS MF5950dw an overall score of 4 stars out of 5 possible. The Canon laser printer scores highest on print speeds, a little lower on features, operational costs and print quality and lowest on support. The reviewer really likes the very good print quality, the wireless function and the printer is easy to use. There are a couple of points hindering the Canon printer from getting a top score including scan quality and restart issues. It seems like Canon has improved a lot with this new laser printer in the imageCLASS series. Read the full review of the Canon imageCLASS MF5950dw monochrome laser multifunction printer here.